This is a common one that we hear a lot where clients will say that they have social media pages that get a lot of traffic and they don’t feel they need a true website. We always tell them that Facebook, Instagram ,and other social media sites do NOT substitute for a formal website. As a business move, it’s one of the most important decisions you’ll make. 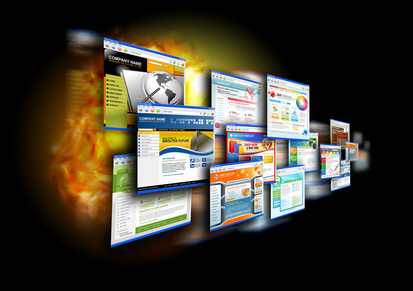 A good website will make you back the money you spent on it tenfold. People will make decisions about the quality of your business based on your site and they decide in seconds. Spend the money it’s worth it. As a part of a comprehensive social media strategy you need those things, but those serve different purposes than a website. A major purpose of a formal website is to legitimize your business to potential new customers as well as to give your customer additional detail about the products and services that you offer. There are some companies that won’t even consider doing business with you without a formal website, especially corporate clients. If you are a non-profit, then your websites is going to convey to potential volunteers, donors, and sponsors that you are a worthwhile cause and that you are serious about your cause. If I’m a potential customer or partner and a business hasn’t invested in something as fundamental as a website, it might lead me to believe that they don’t have their priorities straight. Don’t make that mistake. Great websites don’t have to cost you tens of thousands of dollars and we can help. Please contact us today.